ABK’s Basic Favorite Quiche is the base for making quiche filled with ingredients you love. Are you a fan of asparagus instead of broccoli? Is your motto “everything is better with bacon”? 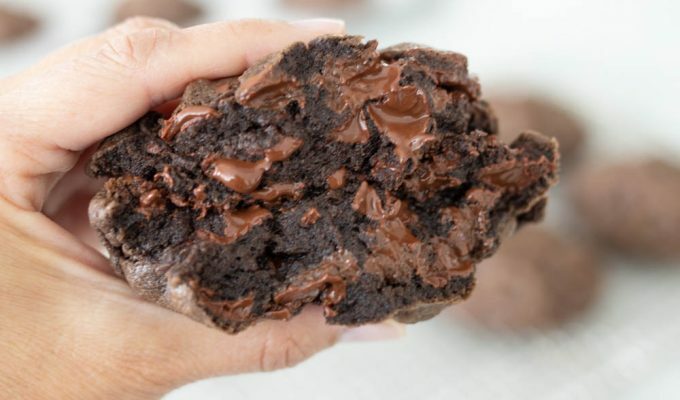 This recipe can be adapted to whatever you love most! I read somewhere recently that quiche is cool again and making a comeback. WHAT? I guess I’m so not cool that I never knew quiche went out of style! Quiche, in my book, quiche has always been cool. What’s not to love about pie crust, eggs, cheese and cream?? How does that combination ever go out of style?? ABK’s Basic Favorite Quiche is a classic recipe you’ll use over and over again. With this recipe, you can get creative and come up with flavor combinations that will please everyone! I’m a quiche lover and I confess, I don’t think I’ve ever met a quiche I don’t love. I love veggie quiches, meat filled and traditional French quiches. I love ABK’s Basic Favorite Quiche because I can take almost any ingredients on hand and make a quiche that’s adaptable to any occasion or menu! Two of my favorite recipes to serve with quiche are Lion House Rolls and Cranberry Avocado Salad. Add a chocolate dessert and you’re serving a meal everyone will love! I use ABK’s Basic Pastry Crust recipe for this quiche. It takes about 1/2-3/4 of the recipe rolled out for a single crust. The rest of the dough may be used for another single pie crust or may be frozen for later use. My favorite combo in quiche is bacon, cheese and asparagus. Smoked salmon and cream cheese with veggies is also on the top of my list. I like to combine a couple of vegetables and then something salty like bacon or ham or sausage. The formula I use is about 3 cups of blanched or sautéed veggies and a cup of meat to my standard filling recipe. It’s that simple. This recipe is a great starting point when you want to make your own flavor combinations in a quiche. 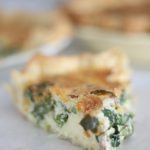 I’d love to hear what you use to make this quiche recipe your own! Prepare pastry crust as directed in recipe.Cover and place in refrigerator until ready to fill. Pre heat oven to 400 degrees and set rack on lower third of oven. Do this at least 20 minutes before baking. In a large bowl or blender, whisk together the eggs, cream, milk. nutmeg, salt and pepper. Make sure eggs are beaten well. Drain any juice from the sautéed vegetables and pour the vegetables into the prepared pastry crust. Sprinkle cooked and crumbled meat on top of vegetables. Pour the egg mixture over top of the fillings in pastry crust. Bake uncovered for 30 minutes at 400 and then turn oven down (without opening oven door) to 375 and bake for an additional 15-20 minutes, or until eggs are set and the quiche is golden on top. Remove from oven. Let sit for about 15 minutes after removing from oven before cutting. I’m hoping to make this a day before an event and then just reheat it to serve. Is that okay to do? If so, what do you recommend in terms of reheating instructions? Yes, Ashlyn, I would just undercook the quiche by about 10 minutes and then reheat at 350 the next day. Make sure to refrigerate after the initial baking and then remove from the fridge and let it sit on the counter for about an hour before baking again. It should warm up and finish baking in about 20 mins at 350. Also, bake it on the lower rack of the oven. Hope this helps and thanks for asking!